The USC Viterbi STEM Educational Outreach Programs (STEM-EOP) is a program at the USC Viterbi School of Engineering whose mission is to increase the number of educationally disadvantaged and historically underrepresented K-12 students to matriculate to four-year universities and graduate with degrees in science, technology, engineering, and mathematics (STEM). 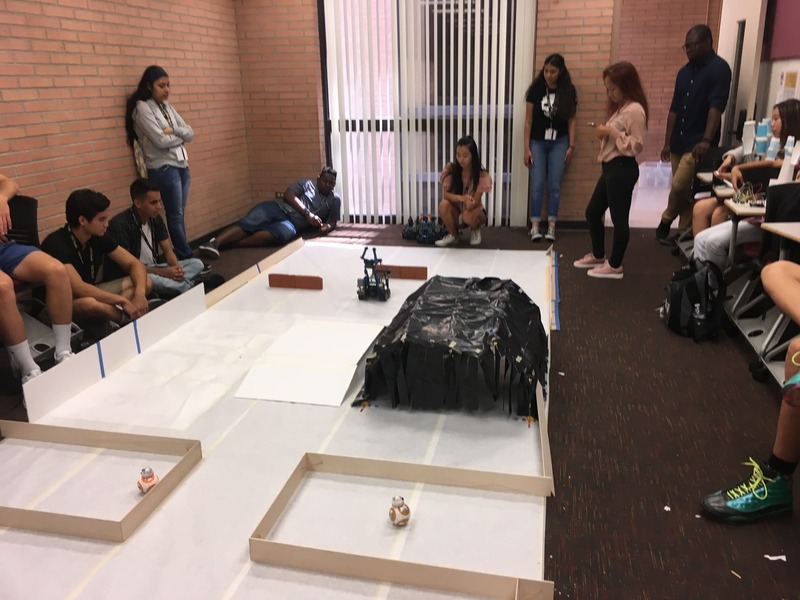 STEM-EOP engages K-12 students throughout Southern California in authentic STEM experiences through hands-on, problem-based learning projects, experiments and activities as well as interactions with STEM professionals, STEM faculty and STEM near peer mentors. STEM-EOP also offers teacher professional development in STEM. 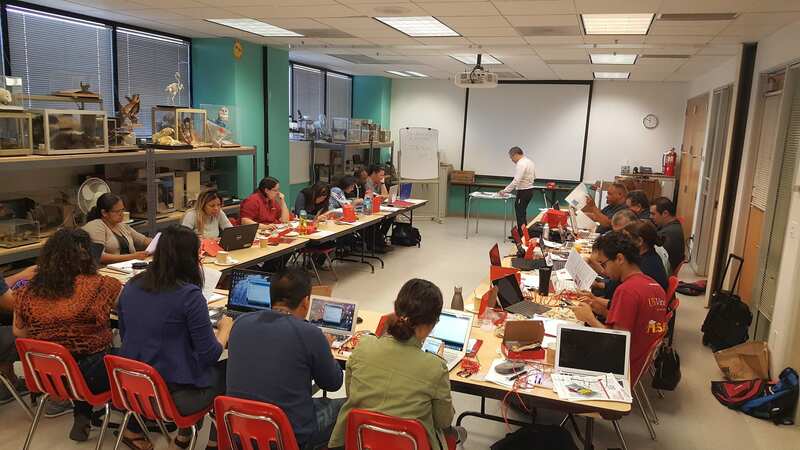 In addition, STEM-EOP collaborates other USC departments and outside organizations to enhance STEM education across the greater Los Angeles area. 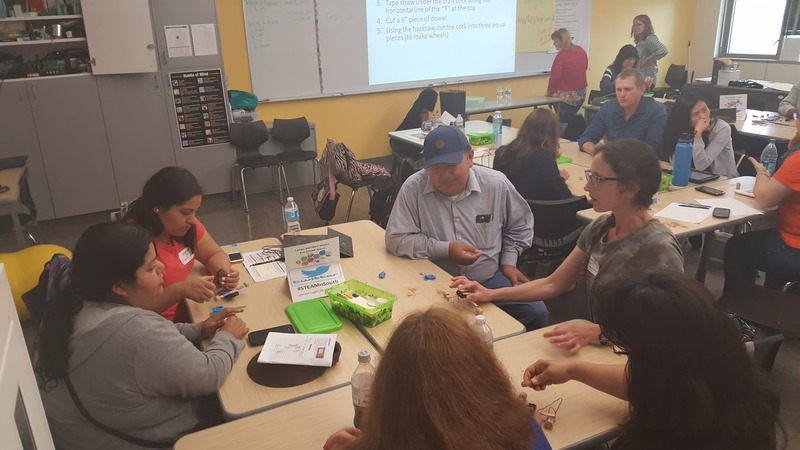 As part of its in the classroom effort, STEM-EOP would like to host a teacher STEM professional development Spring workshop and Summer institute called the STEM Impact Project (SIP). The spring workshop will offer an in depth analysis of the Next Generation Science Standards and Common Core Math Standards. Teachers will learn how to apply the new standards which will focus on critical thinking, problem solving and the engineering design problem (the old standards primarily focused on acquiring content knowledge and standardized testing). The Summer Institute will be a two-Day Summer Institute, led by master teacher leaders selected and trained by STEM-EOP staff , followed by quarterly check-ins during the school year, during which teacher participants share their practice experiences and problem-solve instructional implementation gaps together. The effectiveness and impact of the program will be measured through self-reported survey data on participant satisfaction, teacher leader experience, as well as the implementation of learned strategies. The quarterly check-ins will serve as a time to look more closely at the implementation of new instructional practices through peer observations and feedback loops to inform next steps. We are hoping to raise $8,000 in support of both our Spring Workshop and our Summer Institute Programs. For SIP, we are fundraising for materials, food and small stipends for the teachers. With the funds raised for SIP, we will be able to offer quality STEM support for the 60 - 80 teachers we work with in our programs. For Mission Engineering we are fundraising for project supplies and lunch (10 days) for the students. With the funds raised, we will be able to offer 32 educational disadvantaged students an authentic summer engineering experience on par with programs offered to more affluent students. Only with your support will we be able to provide these young students with the opportunities to pursue an education and career in STEM related fields. Your gift will make an enormous impact on the lives of these students, who will one one day go on to make impactful changes in our community, our city, our state, and even in our world thanks to the opportunity you helped to provide them. Please make a gift today. A gift of any size would be much appreciated. The University of Southern California is a 501(c)(3) organization, so gifts and donations to USC are considered charitable contributions. Gifts are tax-deductible in accordance with State and Federal law. Donors to USC should contact their tax advisor or tax accountant when inquiring about their individual tax consequences. USC’s federal tax I.D. number is 95-1642394. Make sure to come back and check out our “Updates” tab for news about our campaign, as well as to see YOUR NAME posted as one of our loyal donors. Our sincerest thanks for your generosity and support. If you have any questions about this campaign or would like to remain an anonymous donor on our “Updates” page, please contact Jane Ong, Associate Director of Annual Giving, USC Viterbi Advancement, at jane.ong@usc.edu. Thank you for your support! We will send you a USC Viterbi decal (for electronics), and add you to the STEM-EOP quarterly e-newsletters once our campaign is complete. Thank you for your support! We will send you a a USC Viterbi magnetic bookmark in addition to all previous levels when our campaign is complete. Thank you for your support! We will send you a USC Viterbi cell phone wallet and exclusive invitations to attend on-campus STEM-EOP events in addition to all previous levels when our campaign is complete. Thank you for your support! We will send you a USC Viterbi messenger light in addition to all previous levels when our campaign is complete. Thank you for your support! We will send you a USC Viterbi pen in addition to all previous levels when our campaign is complete.